MARQUETTE — The free throw line is sometimes called the charity stripe, a chance for a team to get easy uncontested points. 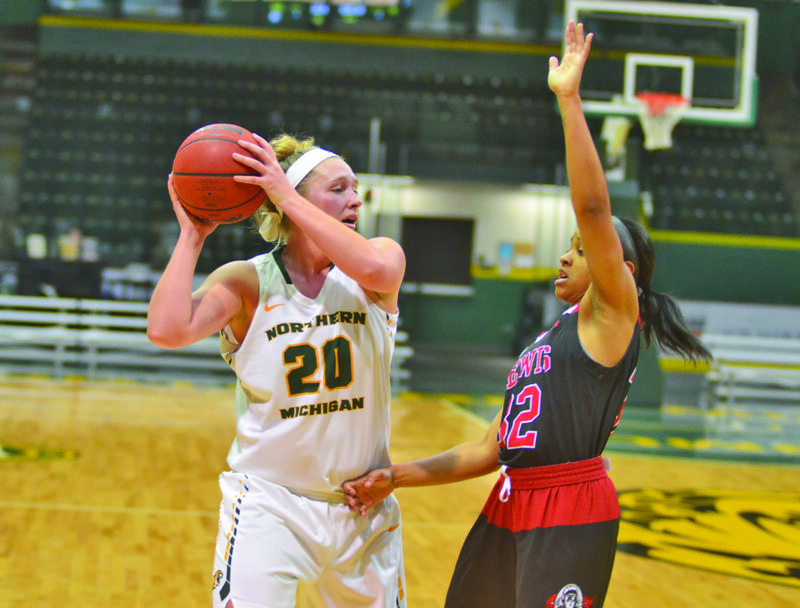 For some reason, the Northern Michigan University women’s basketball team couldn’t take advantage of that helping hand though and that hurt them in the end against Lewis Monday night. 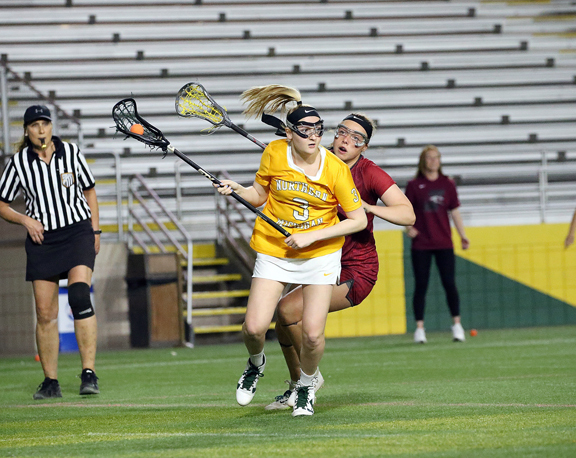 The Wildcats were 5 for 13 shooting from the line, missing several chances to put the game away in the fourth quarter as they closed out the first half of the season with a 58-50 loss to the Flyers. 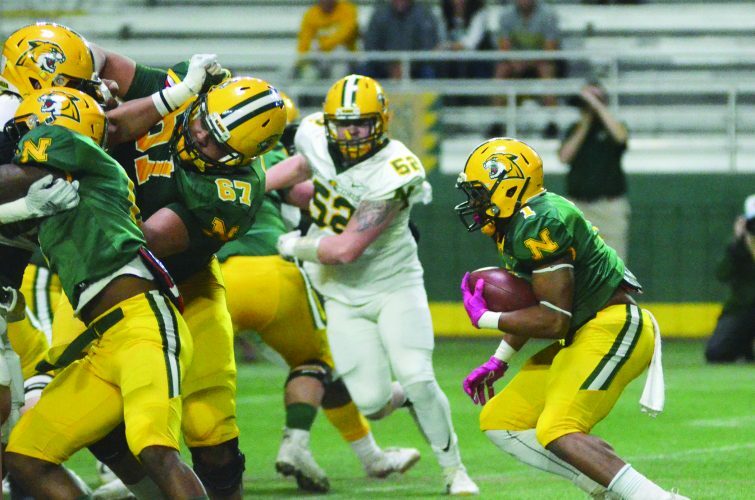 The defeat snapped a five-game winning streak for the Wildcats as they head into the holiday break and for Lewis, it avenged a loss to Northern earlier this season. 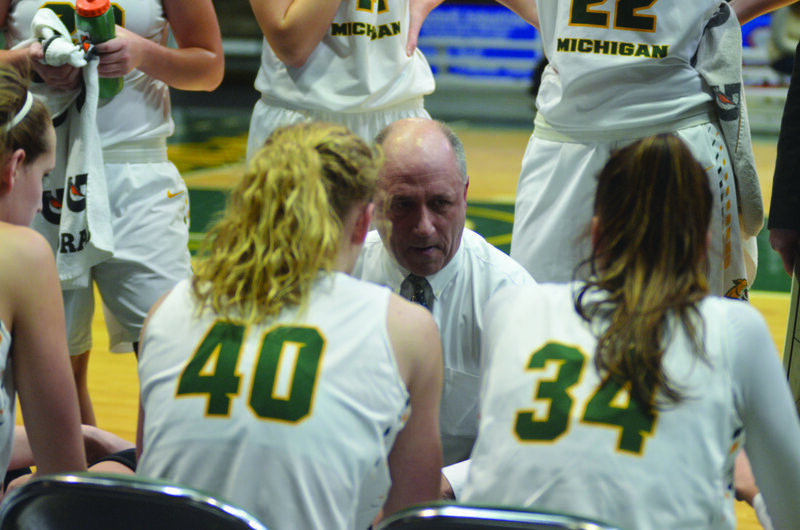 “Free throws were the game,” NMU head coach Troy Mattson said. “In my eyes, we controlled the tempo and we controlled what we wanted to do for the majority of the game. Then we stepped up there and started missing all the free throws. We could’ve extended that seven or eight-point lead and maybe we get it up into the teens and put the pressure on them instead of putting the pressure on us. Because as I told them at halftime, if we don’t put them away, at the end of the game, they’re (the Flyers) going to throw it to (Jessica) Kelliher every single time down the court and she’s going to beat us. It’s that simple. She’s good enough to beat you at the end of the game and she did. She finished shots, made free throws and made great passes. That’s exactly what happened. A 3-pointer and a basket from Kelliher helped Lewis tie the game at 47-47 with just under seven minutes left in the fourth quarter. The Flyers (8-1) took their first lead of the game shortly after that on a Kelliher free throw, but Youngstrom scored on a putback and a free throw from Erin Honkala gave Northern a 50-47 advantage. However, that was it for the Wildcats (9-3, 4-0 GLIAC) offensively. Lewis eventually tied the game again and started giving the ball to Kelliher down low. She put in two straight layups to put the Flyers up by four points and at other end, NMU seemed content putting up contested shots rather than looking for the open player on the perimeter. With the Wildcats’ offense stalling, a layup from Lewis’ Tierney Lockett virtually put the game away at 56-50 with a little more than two minutes left. The Wildcats opened up the game on an 8-0 run, highlighted by a layup by Schultz on a feed from Youngstrom. 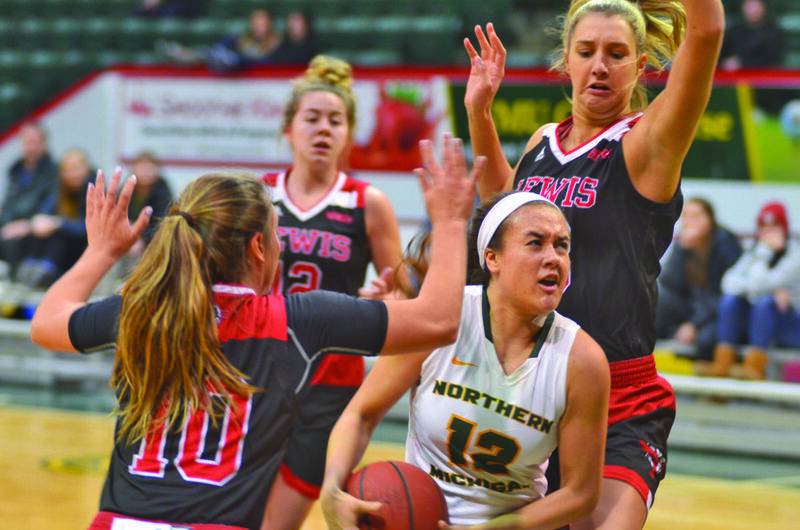 With 4:45 left in the first quarter, Honkala drained a 3-pointer to put NMU up 13-6 and former Marquette Redette Amber Huebner closed out the first quarter with a buzzer-beating layup to give the Wildcats a 16-11 advantage. Lewis rallied early in the second quarter, tying the game at 19-19 on a jumper. With the game tied at 21-21, Northern’s Baleigh Delorit knocked down back-to-back triples to give the Wildcats a six-point lead. Later in the quarter, Youngstrom beat the shot clock with a bucket to put NMU up 31-24 and it went into the break with a 31-26 lead. The Flyers opened up the third quarter with four straight points to pull within one of the Wildcats, but Delorit hit another trey to end that brief run. Later in the third, Northern went on another 8-0 run, one of the baskets coming from Lexi Smith on a pass from Delorit. A steal and a layup from Liz Lutz put NMU up 44-38 and it ended the quarter with a 44-40 advantage, but couldn’t hold onto it in the end. When asked how he feels at the halfway point of the season, Mattson said he simply told his team that they just need to be ready to go after the holiday break. 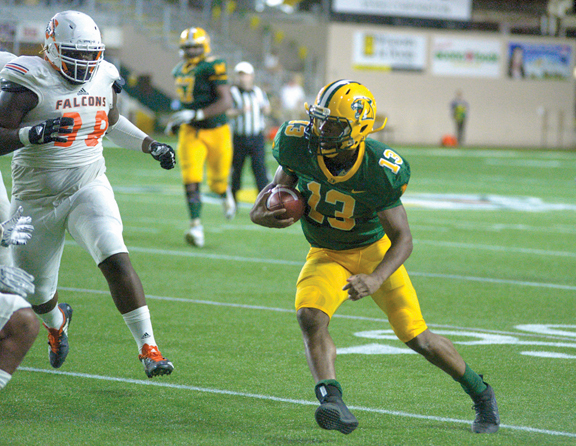 Northern doesn’t play again until Jan. 3 when it travels to Wayne State. 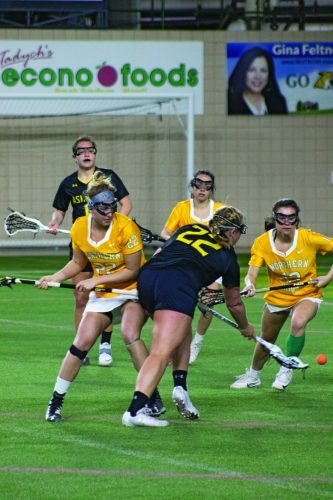 The Wildcats’ next home game is Jan. 10 against Lake Superior State.